It seems the employees at Baseball City in St. Petersburg, Fl. don’t know there left from their flags right. 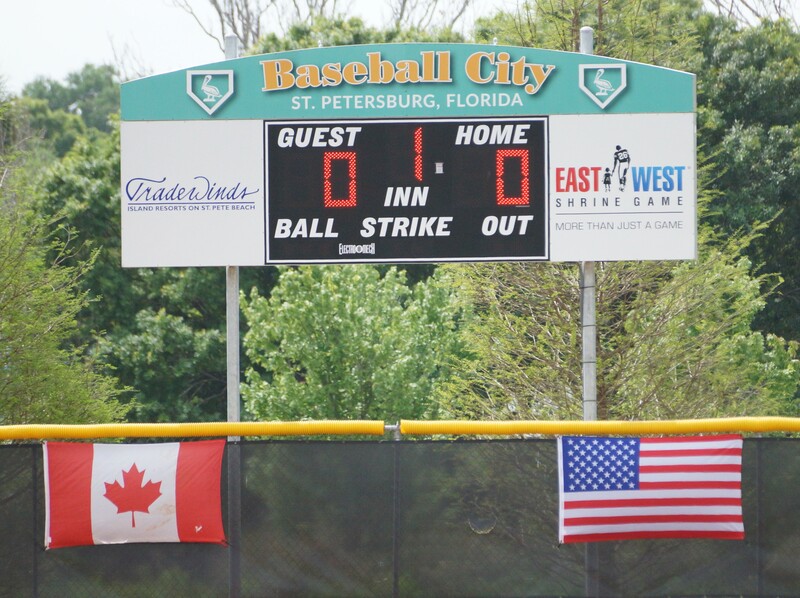 As you look at the scoreboard for the Canadian National Junior baseball game on Saturday the Canadian Flag is on the left where the American Flag should be. It has been this way for two days and when it was brought to the attention of the city employees for two days their comment was, “You are the only one to mention it.” Great PR St. Pete. The Other Side of Sports TOO-The Did You Know Part 3 of ?